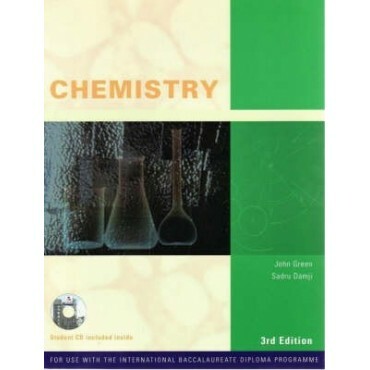 Respected authors John Green and Sadru Damji have collaborated to create this extensively reworked and revised edition of their popular IBID text - Chemistry. Once again, there is clear keying of the text to the syllabus (2007), such a successful feature of previous editions. This 3rd edition includes: • A larger (215x280mm) page size and enhanced page layout. • Much improved colour illustrations to complement the text. • References to the Theory of Knowledge and the International Perspective. • A glossary of Key Terms. • Student exercises for each chapter. A complimentary student CD that contains: • The full text in pdf format. • Answers to the exercises in the text. • Illustrative animations of important chemical processes. • Chapter summaries in pdf format. • A photo gallery with related discussion topics.